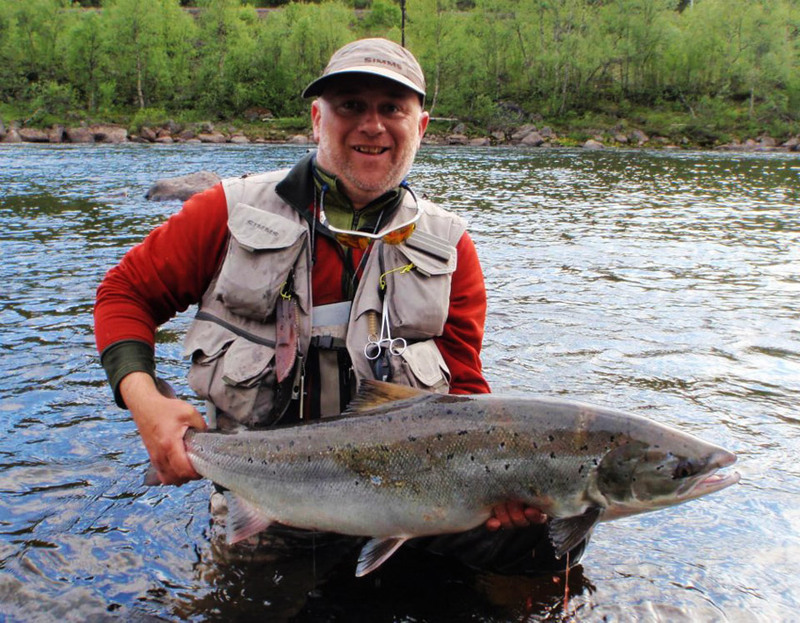 Chavanga Fish Blog: Salmon fishing on the river Kola. 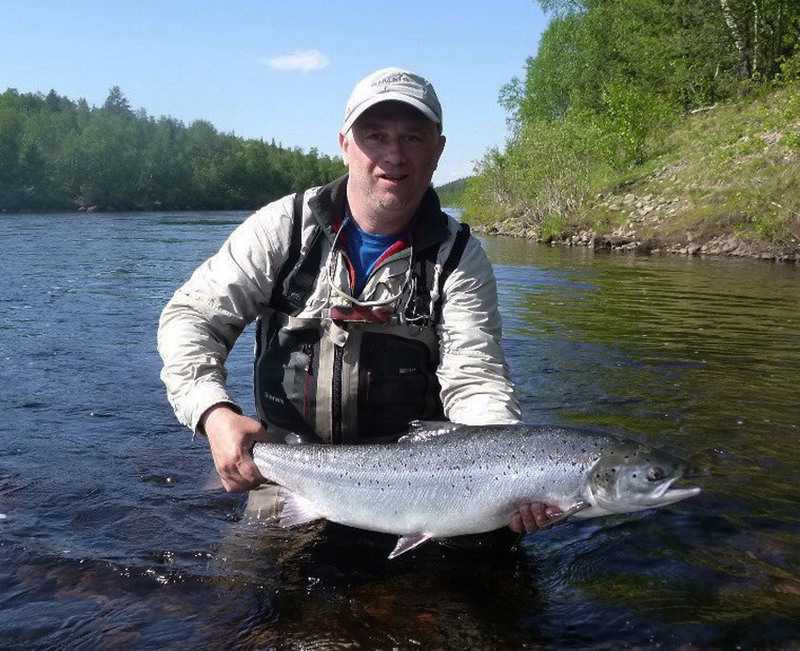 Salmon fishing on the river Kola. It was a pretty cold summer this year! In addition to that big periodic showers caused high water level in the river up until end of June. 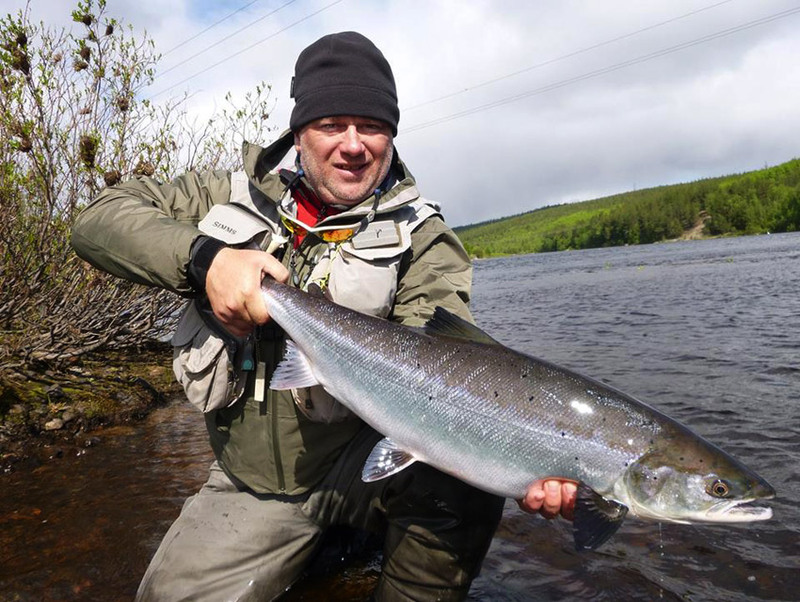 From one hand its good as salmon can freely go all the way up the river, from the other hand it was too hard to fish the places which are truly good in the small water. 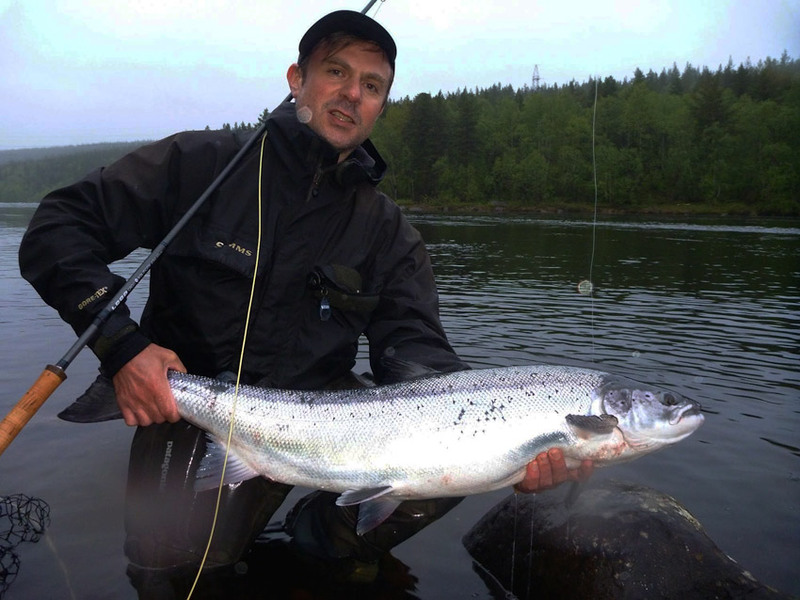 But the water level did not stop us from the wonderful fishing, fishing for big Kola salmon! 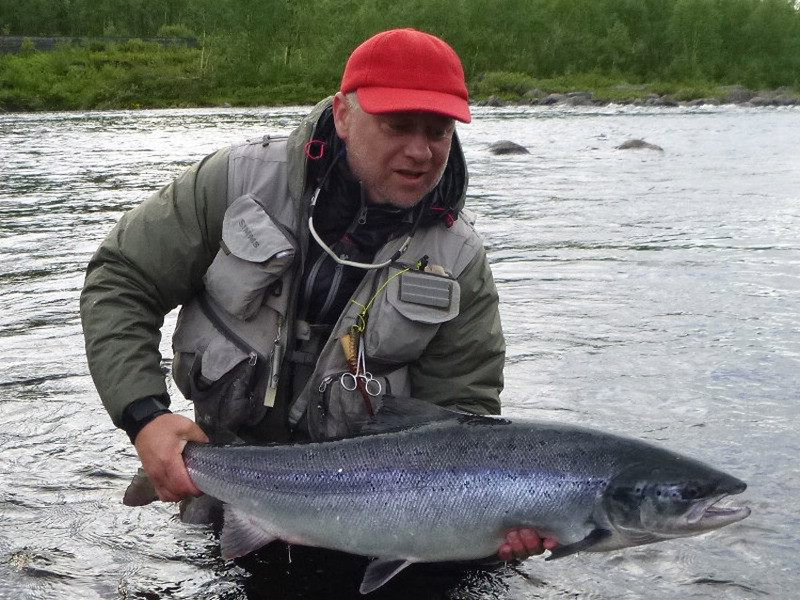 Fishing on the Kola-3 is done from the bank and from the boat, allowing us to fish the best places very effectively. 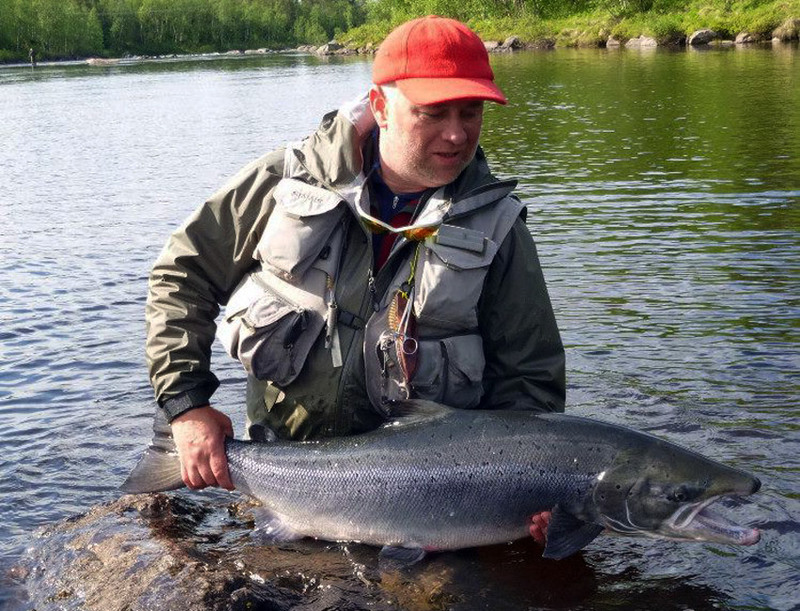 The average fish size this June was pretty good, from 5 kg and above. Biggest fish caught by my client Oliver from UK was 1 meter 2 cm and weighed 13kg. 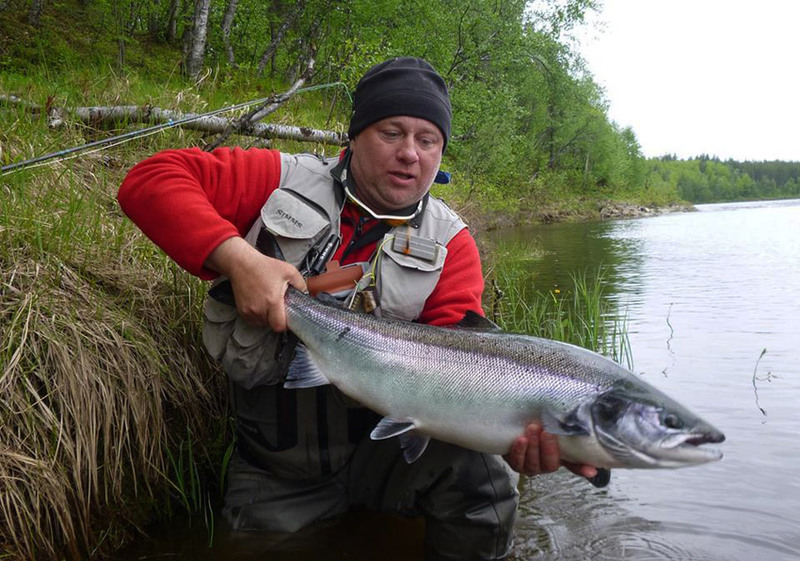 Kola-3 has got 2 parts, as to fish the entire river in one day is difficult. First part of the river starts from connection of rivers Kitza and Kola. Its a wonderful place to fish as from the bank as from the boat. From the other bank just in front of Kitza connection there is a great pool called ''Aquarium''. When we done with 'Aquarium' we take the boat and start moving downstream fishing pools like 'Golden', 'Sirius', 'Pump', etc, we fishing till the hanging bridge in the village 'Loparskiy'. Next fishing day we raft as a rule from that bridge and move all the way down the river till the spot called 'Monika' pool. While on the way down we fish good spots as 'Cementary' and 'Island' pools. The end of second part of the Kola-3 is the vehicle bridge in the village of 'Magnetity'. Here we get to the car and transfer to the hotel. Accommodation is possible as in the city of Murmansk as straight on the bank of Kitza in the hotel called 'Mokraya Kitza' http://mokraya-kica.ru. Comfortable rooms, heating, shower, toilet etc. True Russian sauna always ready to warm you up after a long day of fishing. Polite and caring staff will do their best to make sure you enjoy your stay. Dear Rafal! Thanks a lot for your nice fish!! !